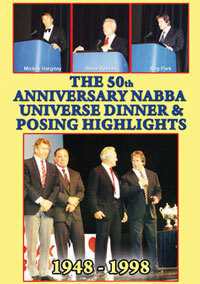 3 Great Contests in one historic DVD. Part #1 - 1980 Ms America Bodybuilding & Couples Championships. 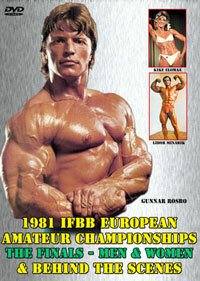 Part #2 - 1982 IFBB European Couples Championships. 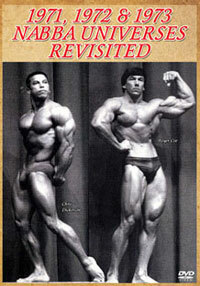 Part #3 - 1982 Mr. Olympia posing highlights. 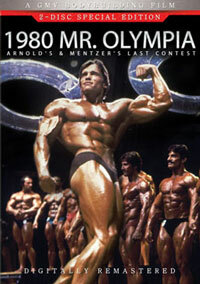 This was an exceptional show, sponsored by Gold's Gym of Santa Monica and held in the famous Santa Monica Civic Auditorium. See famous early female bodybuilders battling for top honours. Star of the show was a ripped, lean and muscular LAURA COMBES from Florida. She was too strong and symmetrical for the very talented Claudia Wilbourn and the fast rising stars of Kay Baxter and Carla Dunlap. Carla went on to win the 1983 Ms Olympia title. Claudia Wilbourn was also a top pro bodybuilder. These women were the pioneers of women's bodybuilding. Unfortunately Laura and Kay both subsequently lost their lives in accidents. Please click here to see our DVD on Kay Baxter, GAMM-002DVD. Other stars who impressed me in this event included Shelley Gruwell and Gail Schroeter. Gail had more the style of physique in women's bodybuilding today while Shelley was more the Figure type of body. In the Couples Championships, see the superbly performed posing displays from stars such as the winners SHELLEY GRUWELL & JOHN BROWN. In second place it was CARLA DUNLAP & JOHN KEMPER from the Diamond Gym in NJ. Wonderful posing and pose-downs - it's all there in this classic blast from the past. This is probably the first women's bodybuilding contest ever filmed by GMV. 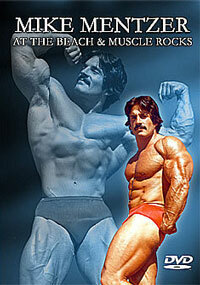 Trophies were presented by Lou Ferrigno in this exciting display of curvaceous female muscle! This event was held at the Wembley Conference Centre, London as the amateur event at the Mr. Olympia contest later that day. It produced a fine display of mixed pairs competition and introduced to the world the sensational BERRY DeMEY along with his winning partner in ERICA MES. This Dutch pair took the event by storm with a stunning display of muscle coupled with their elegant posing. 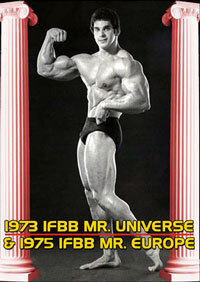 Berry went on to be a major IFBB star in the Pro ranks. Erica also competed in the Ms Olympia. In second place was Bill Tierney and his partner. Bill is now head of the IFBB in UK. You also see posing highlights from other top couples. A great mixed pairs sequence in the true IFBB tradition. 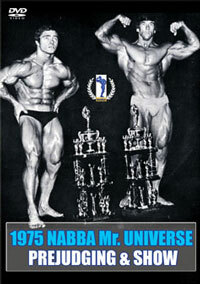 In this segment we present posing highlights from the most prestigious contest in the world. 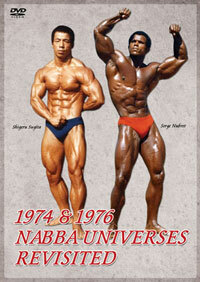 Exceptional physiques and staggering posing performances by CHRIS DICKERSON, FRANK ZANE, CASEY VIATOR who were top 3 in that order, plus Al Beckles, Tom Platz, Dennis Tinerino, Boyer Coe, Johnny Fuller and more. All in rock hard, cut to ribbons condition. Includes trophy presentation to the top 3 winners. Truly classic contest footage. This segment complements our other footage from this event which is primarily from the prejudging, see GAMM-000DVD, 1982 Mr. Olympia - The Battle of Champions. 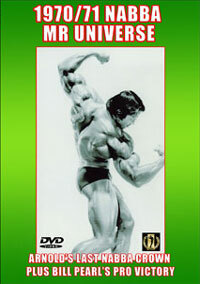 This diverse collection of contest material from the early eighties will be of great interest to all bodybuilding enthusiasts and certainly become a collector's item DVD. Although a very good presentation, due to typical contest lighting of the time and film camera technology, it may lack in places the usual crispness and clarity we associate today with our DVD releases shot on modern video cameras. This footage was all shot on super 8 film, transferred to tape and then digitally re-mastered to DVD, with music added.